Did you know that Machu Picchu is visited by more than one million people a year? During this last decade, citizenship has gained a lot of popularity because it is part of the 7 wonders of the modern world. For this reason, several authorities have established certain restrictions in order to improve their ecological preservation. 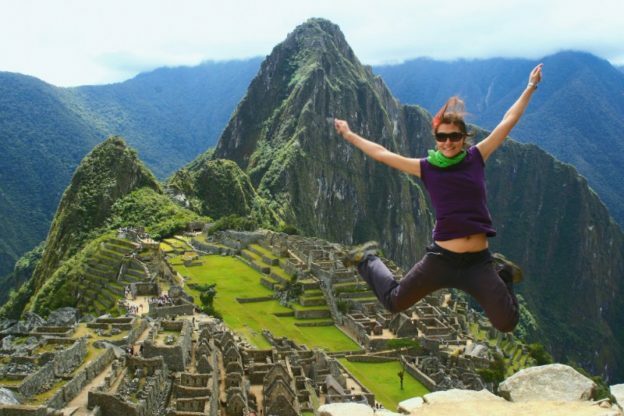 Machu Picchu receives many tourists from May to October as during this months less rain and landslides originate. On the contrary, it happens from November to April; however, you must take into account that the Inca Trail closes in February, although that does not mean you can not visit the historic sanctuary. I had to leave for the town of Aguas Calientes, then go up to Machu Picchu on foot or by bus. It is important that tickets to the sanctuary of Machu Picchu are not sold at the door, so you must buy them in advance at an agency or individually. In addition, you should consider the one that allows the entry of 2500 people. You can not enter with tripods, large backpacks, walking sticks and large umbrellas. On the other hand, if you have a professional camera, you should get a license to take pictures, which will cost you about 300 USD on average. Do not forget to bring extra money if you go to the services, buy a souvenir or eat something. We suggest you hire the tour of an agency that is certified by the Ministry of Tourism. Consider that the climb to Huayna Picchu is a bit unstable and that it is not convenient to travel in the wet season, during this time, landslides, rains and the other type of factor that triggers an accident. You should not underestimate altitude sickness or soroche, because your body needs to get used to the new height it is in. What’s more, you need two days to be able to achieve, hydrating as much as you can without over-fatigue. You can also ask for the hotel where you will have a coca tea to recover your energy. Most tourists make the mistake of traveling directly to the Inca citadel, the ideal is that you run out of time around the sanctuary to understand the mysticism of the region. You can take a walk through Aguas Calientes or visit the town of Pisac. You should also visit the Sacred Valley on horseback, by bus and even on foot. Casa del Sol Machu Picchu Hotel Boutique offers you a unique experience in the place where time stops and the energy of the Andes is detached towards you. In addition, its rooms are decorated with Andean windows, marble veneers, large closets and digital security boxes.